For the second year, supporters of Chelsea Manning from Ireland – a mix of musicians, actors and activists – brought a weekend of solidarity to Chelsea’s Welsh-Irish family in Pembrokeshire, with two nights of live Irish music in Fishguard and Haverfordwest Fri 23 and Sat 24 January, along with on-the-street solidarity with Chelsea Manning in Haverfordwest Saturday. On Saturday night, the music was interspersed with readings of Chelsea Manning’s own words [ Chatlogs | Transgender Rights | Request for Presidential Pardon | Interview with Amnesty ]. The event was organised by Afri (Action from Ireland) along with the Private Manning Family Fund (PMFF) which is based in Wales. Performers included Welsh musicians from Caper Ceilidh band Polly Walker-Penn and Ant Rogers, and singer-songwriter Martyn Ashe who stepped in at short notice Friday night when the Irish musicians were delayed en route. The musicians from Ireland were Joe Black, RoJ Whelan, Paul O’Toole, Robbie Sinnott, Imogen Gunner and Miriam Barragry and both evenings were attended by members of Chelsea’s family..
Chelsea Manning (formerly known as Bradley Manning) is serving a 35 year sentence in a military prison in Kansas for leaks that exposed the wars in Iraq and Afghanistan, the injustice of Guantanamo and shed light on the shady world of US ‘diplomacy’ in countries right across the globe. 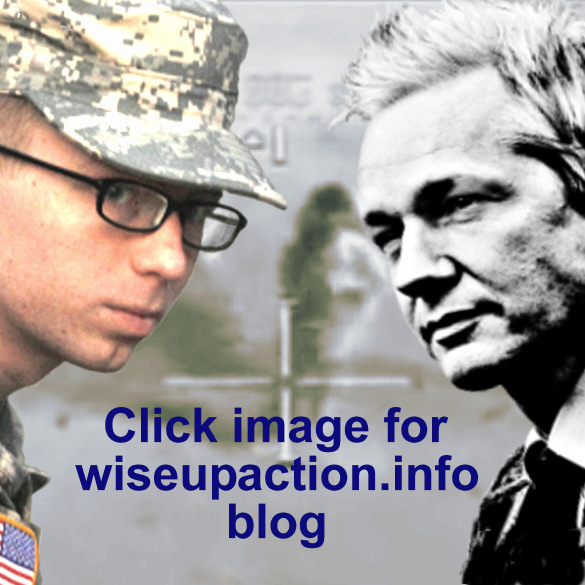 The accusation is often made that these leaks led to people being harmed or even killed, but the prosecution was not able to give a single example of this during Manning’s trial or sentencing hearings. Meanwhile, the wrongdoing exposed in the leaks – the behaviour of the helicopter gunship crew in the ‘Collateral Murder’ video for instance – has gone unpunished. Chelsea Manning’s maternal family are from Pembrokeshire and have Irish roots: Chelsea’s grandfather came from Dublin. In the past 18 months, strong links and friendships have been built up between Chelsea’s family and Irish supporters with half a dozen exchange trips between Wales and Ireland taking place to raise awareness of Chelsea’s situation and to support her family. It is often forgotten that when an individual is imprisoned, the whole family suffers. I’m very proud of you and what you’re doing for us. It goes long ways, and I mean it goes long ways. It’s brilliant and it’s very genuine… There’s a lot of honest people in life and we’ve found some honest people anyway, I’m glad to say. I can’t say much more. It was a fantastic night… Thank you very much to everyone and we’ll keep the solidarity. Once again, we were overcome by the hospitality, spirit and dedication of Chelsea’s family and friends as they struggle to support her in her courageous course of action. We were honoured that we could play some small part in expressing solidarity with her and with them. The price of truth and justice is a demanding one, and Chelsea and her family are paying a very high price indeed – they deserve all the support they can get and we will continue to do what we can to help. I count myself very lucky to be able to show support for such wonderful people – the Manning & Fox families – to receive their amazing hospitality, and share in their warmth and enormous sense of fun. I thank Chelsea for risking everything to speak truth to power. Your ongoing courage is a constant reminder that humanity is something to be proud of, and that there is hope that the systems of injustice can be overcome. I just want to thank everyone for making another trip possible and especially Chelsea’s family. They help us to see where a person like Chelsea came from – someone fundamentally thoughtful and kind, who just couldn’t stay silent in the face of injustice. Lovely to see all the Manning Truthfest crew again and be part of that wonderful night in the Labour Club. It is indeed a special thing to be part of and a privilege. An unforgettable night of Celtic high spirits and comradeship which it was a privilege to have attended. The music was both accomplished and engaging, and the readings of Chelsea Manning’s writings served to remind us of the selfless and clear sighted courage that brought such terrible and unjust punishment on this young person’s head. The Irish singers were powerful, it was so good of them to come over to help Chelsea and her family, an amazing treat. I have never heard La Quinta Brigada sung so well. I felt I was there; rare to hear Christie Moore left in the shadows. It was great for Martyn Ashe to have a chance to sing his own songs with relevance to the theme (Fri night). Also my friend Jess Hope who has long campaigned for Shaker Aamer, the last British resident held in Guantanamo Bay, was able to take lots of photos of people standing with Shaker. The people campaigning for this innocent man’s freedom will be especially proud that the Manning family were also happy to stand with Shaker. Donations to the Manning Family Fund can be made via our donations page or by cheque payable to ‘PMFF’, c/o 49 Westminster Rd, Moss, Wrexham LL11 6DH. 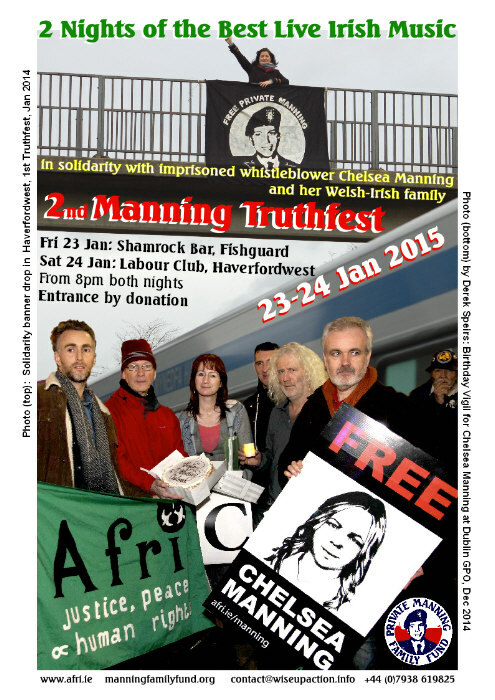 Friday 23 & Saturday 24 January will see the return of the Manning Truthfest to Pembrokeshire, with Irish musicians, actors and activists joining local supporters of imprisoned US Army whistleblower Chelsea Manning and members of her Welsh-Irish family for a weekend of the best live Irish music. Join the Truthfest on Friday 23 January, from 8pm at the Shamrock Bar, the Square, Fishguard SA65 9HA and on Saturday 24 January, from 8pm at the Labour Club, 61 Dew Street, Haverfordwest SA61 1SY. Entrance by donation on the door both nights. [S]peaking out about injustices is worth the risk… in your life, you are rarely given the chance to really make a difference. Every now and then you do come across a significant choice. Do you really want to find yourself asking whether you could have done more 10 – 20 years later? These are the kind of questions I didn’t want to haunt me. For speaking out, Chelsea is now serving a 35 year sentence in a US military prison in Kansas. Everyone is invited to join us at this second Truthfest where we will celebrate Chelsea Manning’s integrity and courage, take inspiration from the example she has set us all and look forward to a future free from injustice, which can only be achieved through honesty and truth. This weekend is all about reclaiming truth-telling as a positive act to be celebrated, not a crime to be punished. Chelsea spent some of her formative years here in Wales and attended the local Tasker Milward high school. Her family still live in this area and we think it is fitting to gather here in solidarity. 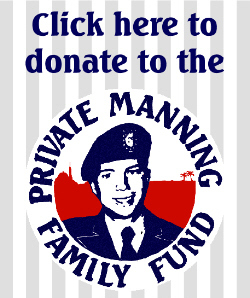 Pembrokeshire should be proud to be associated with Chelsea Manning. The Manning Truthfest was the brainchild of Irish actor Donal O’Kelly, an associate member of Afri’s Executive Committee (Action from Ireland). Afri has sponsored both Truthfests, has hosted three visits to Ireland for Chelsea Manning’s family members in the past year as well as raising substantial amounts for the Family Fund. The request to Afri by Ciaron O’Reilly to host a visit to Ireland of Chelsea Manning’s family in Autumn 2013 presented us with an opportunity to express solidarity for the outstanding courage of this young soldier. It has also opened doors to further expressions of support and admiration. Afri was privileged to host the family, to celebrate their Irish roots and to hear at first hand the stories of what made Chelsea the person that she is today. At a memorable public meeting in Trinity College we had the added privilege of meeting and hearing the inspiring words of a fellow victim of grave injustice Gerry Conlon. To our dismay, Gerry died some short months after that memorable evening. 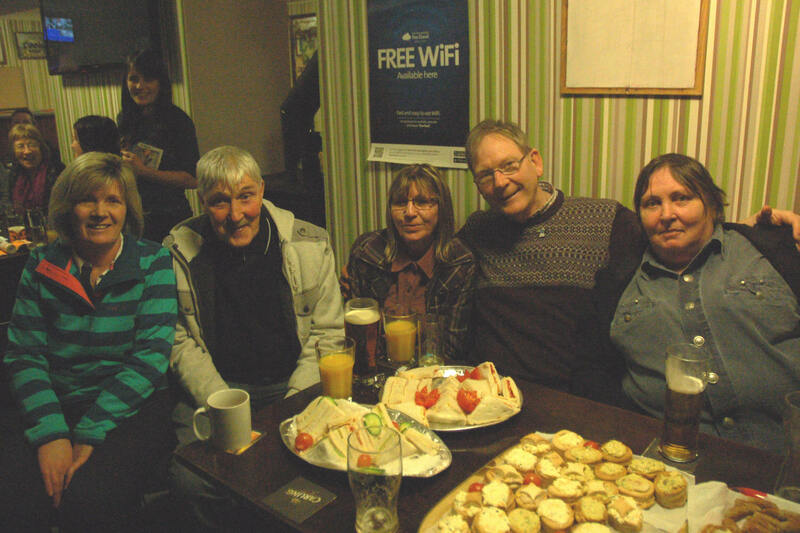 The visit to Dublin led to the first Manning Truthfest in Wales in January 2014. It was followed by a memorial for Gerry Conlon in Dublin, attended by Chelsea’s mother and Genny Bove, a celebration of Chelsea’s 27th birthday and now the Manning Truthfest Part 2 – a celebration of truth told in the full realization of the high price to be paid. And there hardly seems a more fitting way to celebrate truth than through music, song and theatre. We look forward to this and to keeping a flame burning to brighten Chelsea’s dark days in a prison cell far from family and friends. Contact: email: contact@wiseupaction.info Tel: 07938 619825. Gallery | This entry was posted in Announcements and tagged Afri, benefit gig, Chelsea Manning, Dublin, Family Fund, Fishguard, Haverfordwest, Ireland, Pembrokeshire, solidarity, Truthfest, Wales. Bookmark the permalink.